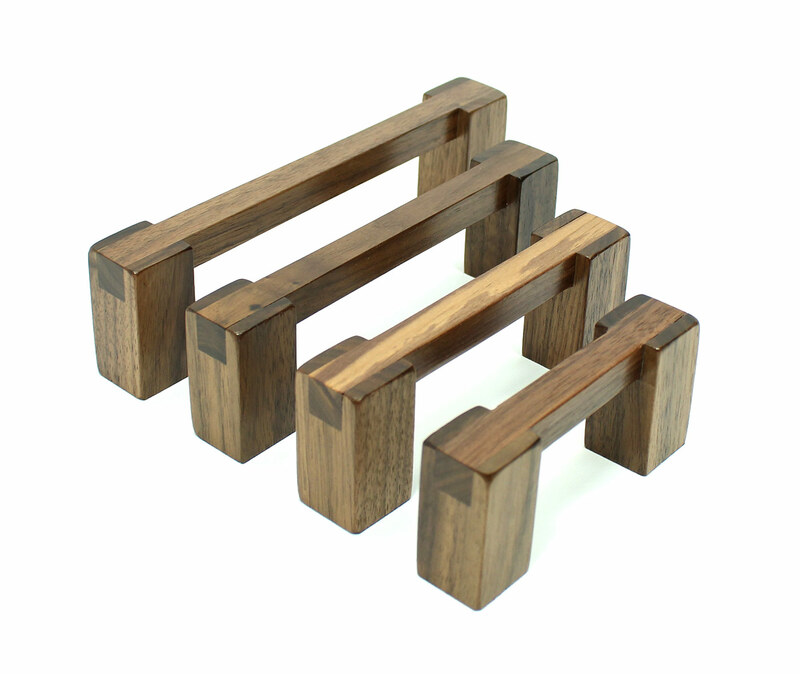 Happy Bungalow Walnut Wood Pull Premade Hand-crafted walnut Pull. 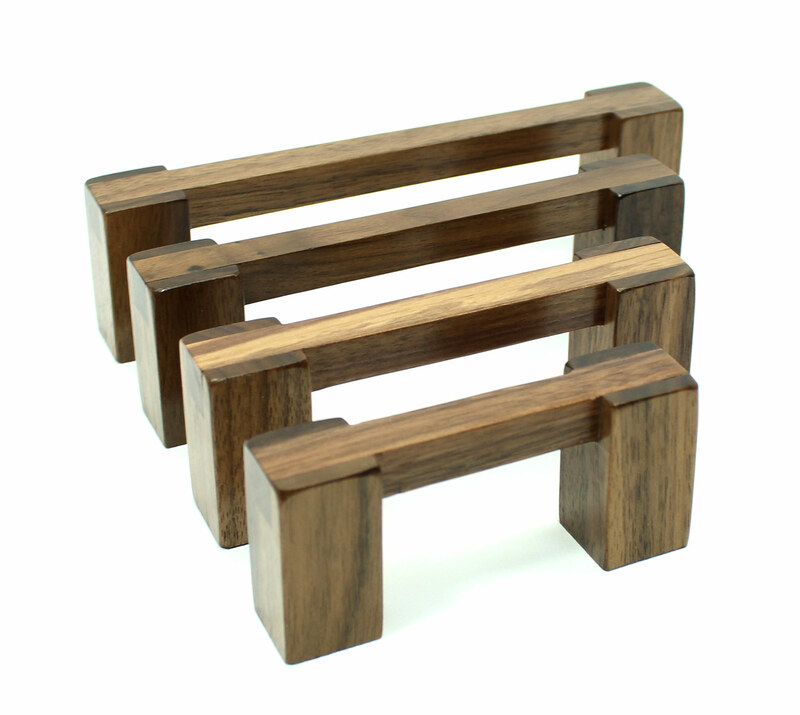 We make these cabinet pulls from natural wood (no stains) and finish them with 4-5 coats of semi-gloss lacquer so they will hold up well to years of use. Everything is sanded smooth and the edges & corners are just so-slightly rounded over. This pull is gentle on fingers and easy to grasp. Shown in the first is a 5 inch pull (five inches between post mounting holes). Standard widths are from 3-6 inches. Custom width to any 1/4 inch increment less than 6 inches available. Please contact us for any custom requests (send an email to don@happybungalow.com or contact us via our website). 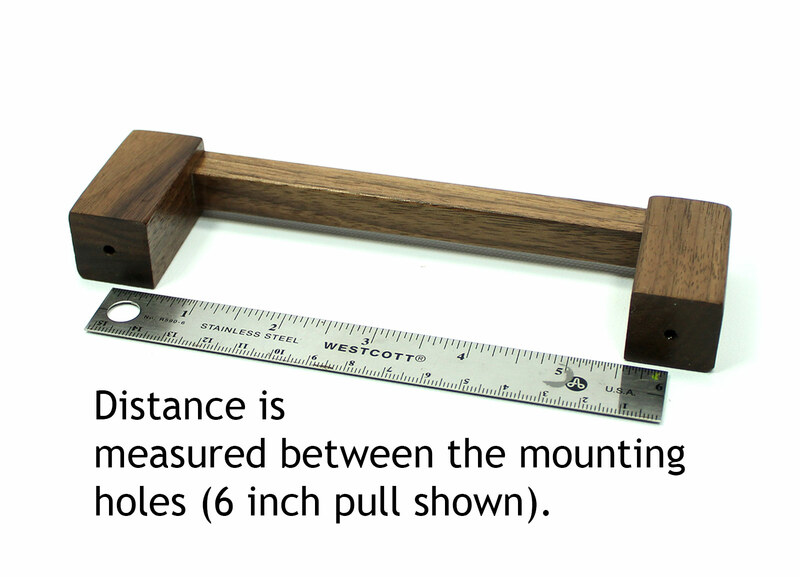 The walnut handle is 1/2 inch square. 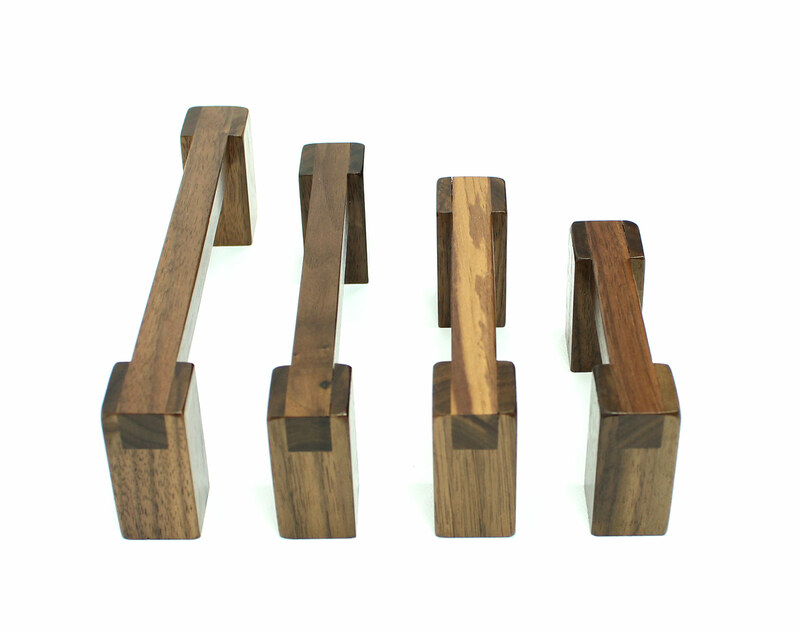 The walnut posts are 7/8 inch square and 1-5/8 inch tall. This product is in stock and typically ships the next business day (if ordered by 8pm eastern). Within the US standard shipping (USPS First Class) transit time is around 2-5 days, expedited (USPS Priority) is 1-3 days. Additionally, during times close to holidays, we also mail packages on Saturdays to lessen the anxious waiting time and make those fun times of year just that. If you're concerned about an item arriving by a certain time, please contact us. Or, for that matter, if you have any concerns, let us know.